Serge Daney, “Le tacot de Ghatak”, first published in Libération, 31 October 1986. Translation from the French by Arindam Sen & Ivana Miloš. It is a love story set in Ranchi (at the border of Bengal and Bihar). Bimal unreservedly loves Jagatdal, who returns his affections. He is a taxi driver and Jagatdal his vehicle, a very old Ford. The laughing stock of his neighbourhood, irascible dreamer Bimal avoids all human contact except for one child. 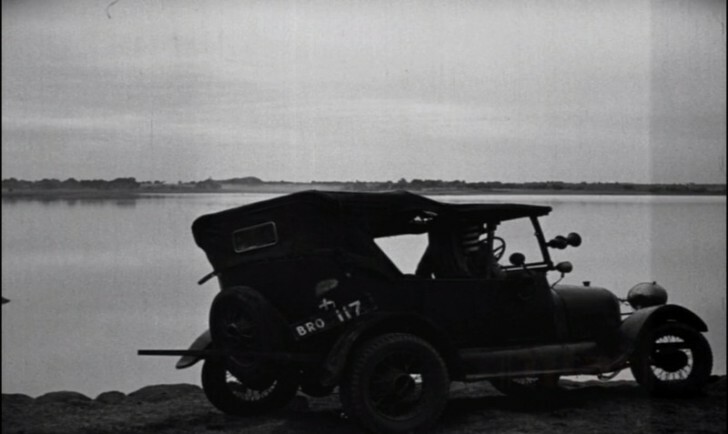 We are in 1959, a time when modern cars are making their appearance in India. Bimal has no fondness for them; he loves, yells at, repairs only Jagatdal, the decrepit car, the pile of metal that breaks down, agonizes him and howls and screams in love and pain. 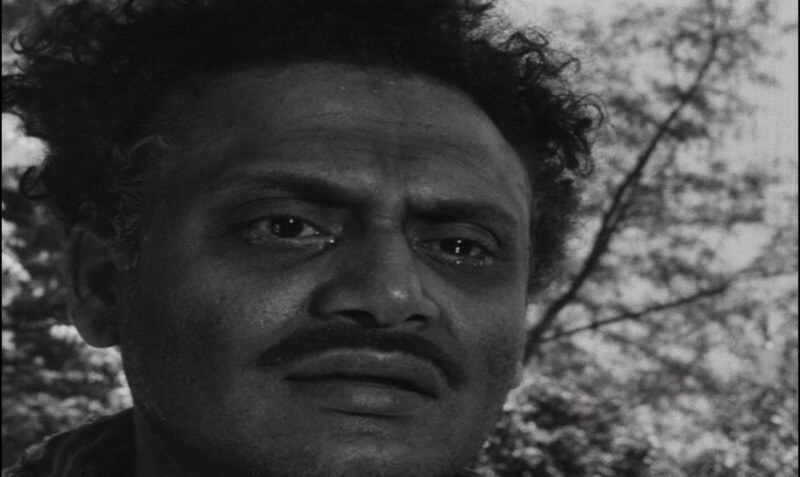 Time does not hold the same meaning for Ghatak as for Satyajit Ray. Ray is an aristocrat, Ghatak was an agitator. Both are Bengali, but Ghatak was born in 1926 on the „wrong side“ of Bengal, in Decca, not yet capital of East Bengal, later Bangladesh. Ray knows how to evoke the past in mists and clouds. Ghatak, on the other hand, is a man with a clean slate. There is no nostalgia in him, or rather there is a nostalgia so strong (for an undivided Bengal) that it is everywhere and nowhere. By prolonging Jagatdal’s usefulness beyond its limit, Bimal goes against the law (of both karma and mechanics). There is revolt in his stubbornness, but he will gain something from it in the end. After one last attempt to miraculously prolong the vehicle’s life (a final act of love), Jagatdal breaks down, and a greedy, mole-eyed scrap merchant offers to buy it by the kilo. Suddenly, the sound of Jagatdal’s air horn is heard – a child has picked up the object turned toy. A tear runs down Bimal’s easily excitable face. It is as if the director had replaced the abstract law of karma with the human recycling of matter. Ghatak, a leftist, a loser and alcoholic (he died in 1976 in poverty), is the one who, much more than Ray, the young Indian generation relates to. He is a man given to fragmenting who takes the time to try and put the pieces back together. This is why Ajantrik is a film that breathes. Sometimes with terrible asthma, sometimes with miraculous ease. 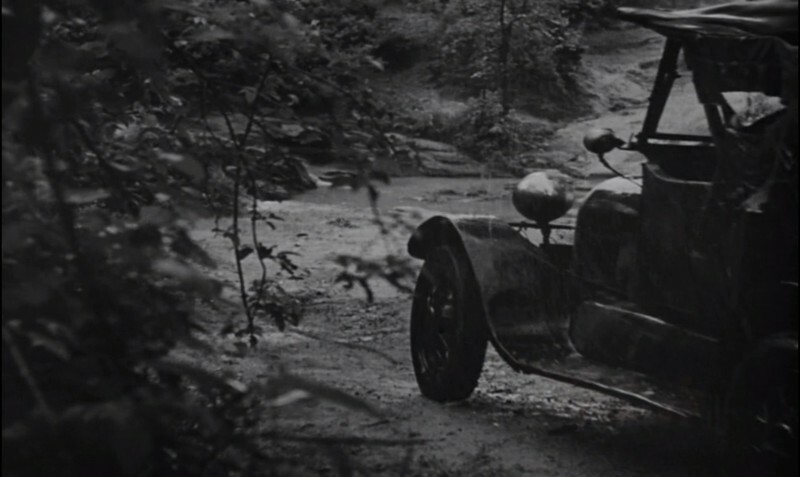 In the history of cinema, the sound aligns the film with the old tradition of the silent “murmur” of the thirties, while its narrative associates it with the tradition that has been liberating narrative from the shackles of screenplay from neorealism to the nouvelle vague. Bimal’s story is predictable enough, but the story’s landscape is made up of the unexpected, of digressions, and waking dreams. On Jagatdal’s final journeys, we even pass genuine bits of late ‘50s India. As for the sound, it is composed like a radio score featuring classical music (Ali Akbar Khan), tablas beats, metallic clanking and air horns weaving a canvas between dream and reverberation. As the clunker weakens, the story takes flight. Engine failures allow for chance encounters. And then the film changes direction, transforming into something dreamlike. On the day Jagatdal embarrassingly stalls on a narrow mountain road, drum beats are suddenly heard. Bimal rushes down a slope and arrives at a religious ceremony with advancing dancers who impart a sense of unreal, as in Murnau’s Tabu. Bimal is lost; he gets drunk and disappears. We want to follow the dancers, we catch bits and pieces of what they are saying. 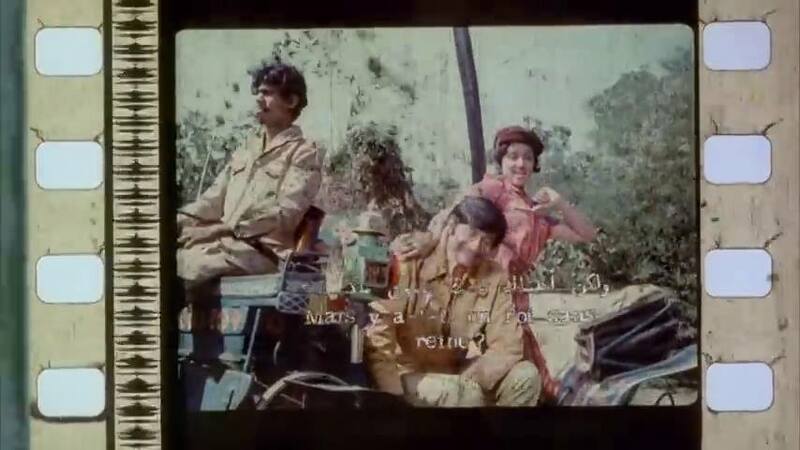 We learn that Ghatak lived five years among this tribe (the Oraons of the forest) and that the idea of a few shots was enough for him to make his film. Cinema was once terribly open to what was not cinema. This was, in all likelihood, the cinema of Ghatak. Passages through the Third world: A few thoughts on Kidlat Tahimik’s Why is Yellow at the Middle of the Rainbow? How does one begin to describe these eclectic offerings as films by the Filipino maverick Kidlat Tahimik aka Eric de Guia? Even at a first glance they seem to associate themselves in a not so self-conscious way to a mesh of cinematic history, of identifiable names of non-Classical genres such as the diary film, autofiction, third cinema, ethnographic film, essay film, home movies and so on and so forth that combines an unmistakable anti neocolonial pulse that characterises the early film works of Fernando Solanas with quirky, humorous action-autobiographies of Boris Lehman. Indeed Tahimik inspires such unlikely bridges across history and geography. Why is Yellow at the Middle of the Rainbow? (1994) is complemented by a voice over that functions as a dialogue between a father and a son, Tahimik and his own son, navigating the turbulent political landscape of postcolonial Philippines between 1981-1991. 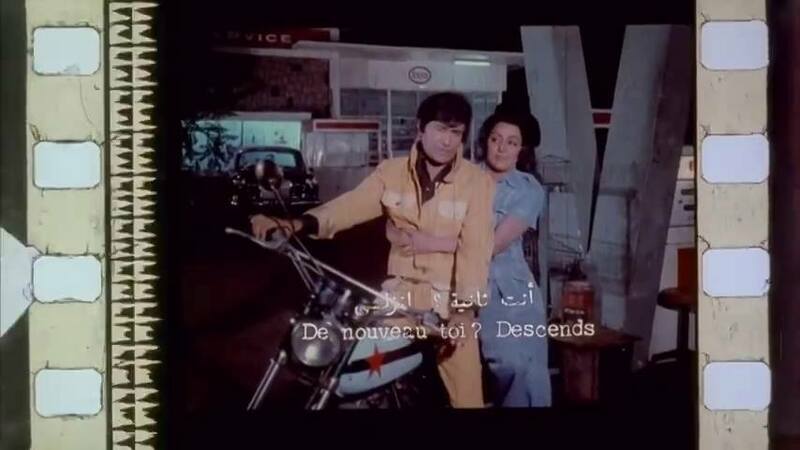 The US/us dialectical antinomy frequently used in wordplays is central to Tahimik’s films, US is not merely the face of neocolonial imperialism that operates from a distance. Tahimik is primarily interested in exploring it’s everyday manifestation in the lives of his Filipino countrymen. 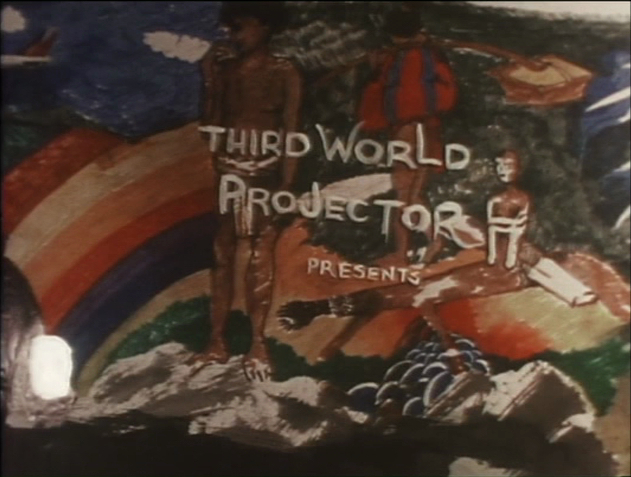 While other generic projections can often be sustained fleetingly, the one that Tahimik definitely refers and aspires to is the Third cinema and its relationship with the broader identity of the Third world. Completed in more than a decade after Sinong lumikha ng yoyo? Sinong lumikha ng moon buggy? (1982) what concerns ‚Why is yellow…‘ unmistakably are questions of modernity and identity. Like many artists from the ‚Third world‘, the sustained struggle seems to exist within the process of a negotiation between a formal freedom from dominant modes of media culture, to challenge hegemonic universalities and to model an artistic form that borrows something from ethnic history and it’s formal inscriptions- something that underscores works of many filmmakers like Haile Gerima and Govindan Aravindan. On the other hand, one would be hard pressed to label Tahimik as some kind of virgin artist, abstracted from transnational currents, the corruption of modernity- an eternal fascination of many western critics. The long and short of it being that Tahimik, even for his brief role in Werner Herzog’s Jeder für sich und Gott gegen alle (1974) notwithstanding, seems to have touched and have been touched by various fluxes of cinematic practices. His films are improvisational, satirical and reflect oddly on the means of production, not necessarily in the same vein as the consciously anti-representational strand(s) of experimental filmmaking, but the projection of the poorly exposed, grainy strip of 16 mm would indeed be a ‚Third world projection‘ or a projection of the third world. The history of third world cinema and indeed the history of cinema itself is a history of struggle for the resources of production, a history of lost films, abandoned films, films damaged beyond redemption, films perceived and discarded in thoughts, diaries and sketchbooks or merely confiscated and destroyed. Haile Gerima showed excerpts of his unfinished film at the Cinematek in Brussels earlier this year in order to draw funds and to be able to complete the film. The production history of Tahimik’s last film, Memories of Overdevelopment (2011) that has a 25 year gap somewhere in the middle, can be titled a Kalatozov sequel-like ‚A letter that never reached‚. These films reside within such paradoxes- between the arch of Western institutions, a sense of self-inflicted gentrification and the lack of cultural patronage in emerging economies. Like Gerima, Tahimik underlines that the face of neocolonialism has changed color from White to Black or Brown, and that the anticolonial struggle is an everlasting one. At one point in the film, the voice over anguishes that it is harder to fight the dictatorship in us than that of the US – in yet another comical articulation of the us/US divergence. Closer home, Tahimik’s films share much more in common with the films of Nick Deocampo than with the dramatic traditions of Mike De Leon or Lino Brocka. In ‚Why is yellow…‘, usually a shot lasts for a few seconds splashed with frequent moments of brilliance. A travel diary suddenly becomes a passage to a Ruizian imagination of a child’s nightmare, the next shot becomes the classic anti-illusionist Brechtian allusion- a return to the documentary roots followed by a shot that takes us indoors, a resort to a typical home movie aesthetic. Often Tahimik uses rapid montage to cut between the personal and the political. 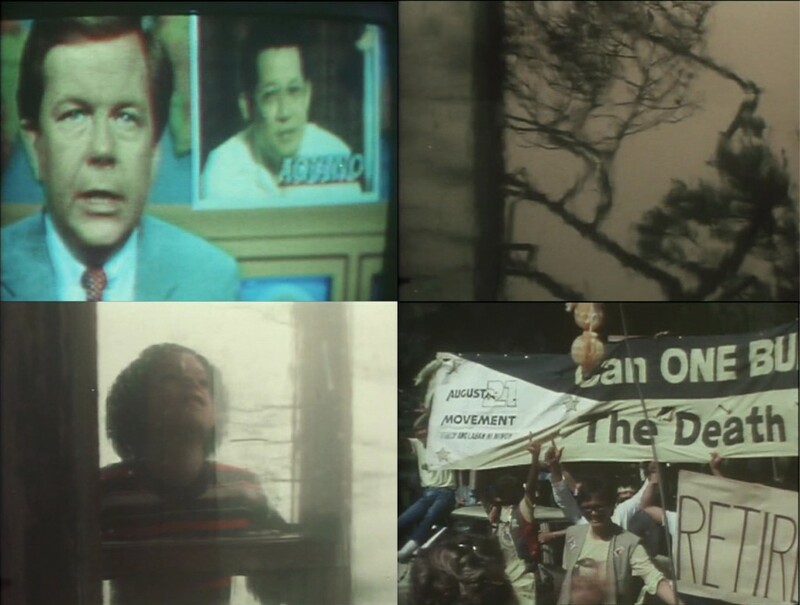 Televised news of the murder of Benigno Aquino is followed by a high pitched operatic voice that struggles against the ruffling branches of trees melting into window panes, a meek figure of a boy encountering the storm, a political upheaval around the corner cut to marches on the streets of Manila and TV images of street demonstrations. This entire sequence of shots last less than a minute, each individual shot, again, barely a few seconds long. We are transported briefly into a Situationist world where the fragments of a rational world are rattled in a frantic spin to be traded for a revolutionary vision. ‚Why is yellow…‘ also has passages of pure ethnographic nature, the term ethnographic used in a broader folkloric sense than the western construction of a means to encounter its others. Here Tahimik mounts his critique of tourism as a force of neocolonialism, and reflects upon the ecological and anthropological challenges posed by it. Tahimik directs our attention to rhythms of bodies and movements of people working, a glimpse at third world labour. He seems very keen on costumes and engineering caricatures. He has a penchant for school kids participating in costume dramas clad in ambitious colours, for metal discards beyond their cycle of usefulness. Much like Boris Lehman, Tahimik infuses this film with body actions (later recycled for Memories of Overdevelopment), he enacts the life of a Magellan’s Filipino slave. The film rolls along with animation, TV reportage, newspaper cuttings, costume plays, toys and scrap metals, each an important cog in Tahimik’s political wheel. We witness a meticulous deconstruction of the ‚Third world‘, sometimes through images of mechanical labour and sometimes the voice over darting pointers at the nature of labour. In yet another enigmatic sermon from the father we hear, “In third world, owning a piece of land is about building your own home, in first world, buying and selling land is about making profit”. 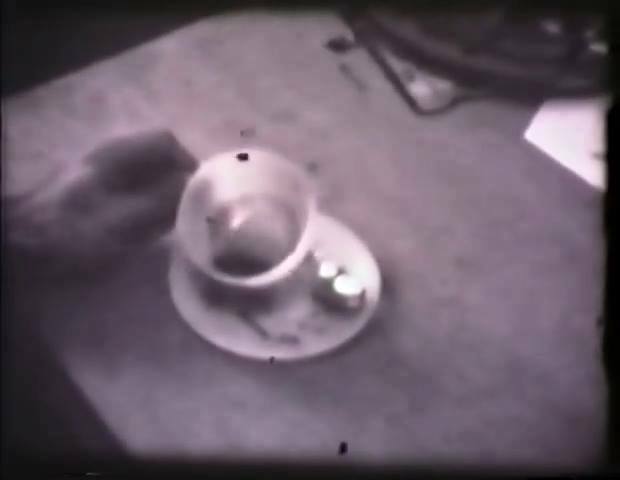 At various moments in the film, Tahimik recovers Chris Marker’s cat, in another particularly striking series of rapid cuts, between two shots of television, one with Ronald Reagan and other with members of Filipino militia we see an amused cat, and later, the same cat exhausted, lying on the floor dejected. The possible associations that ‚Why is yellow…‘ implores in just under 180 mins is endless. To say this is by no means to suggest that this is some kind of pastiche, in fact quite the opposite. ‚Why is yellow…‘ truly and completely embodies a Dadaist universe, in each fragment we discover something essential of the material world. 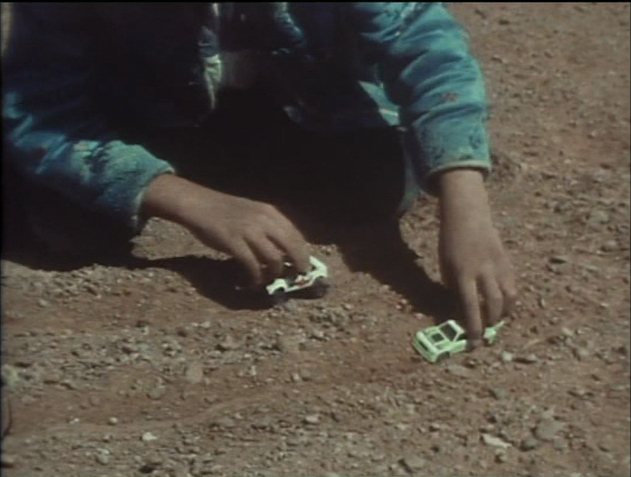 Before concluding, a brief reflection on a particular visual constituent of the films- miniature toys. 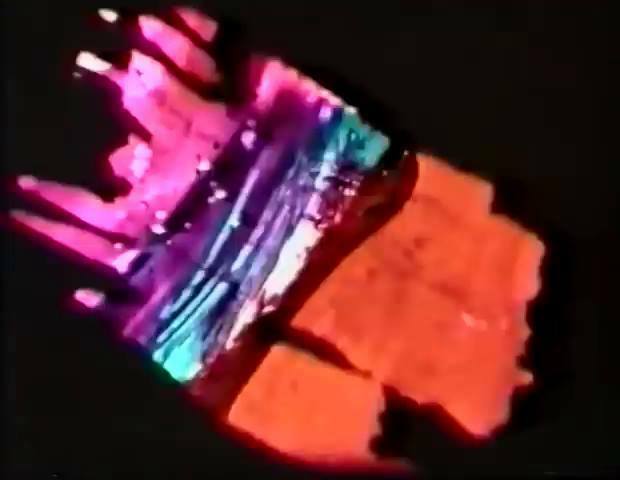 Watching this film sometimes feels like intently observing a Manny Farber painting recalling the realisation of ‚My Budd‘ in Jean-Pierre Gorin’s Routine Pleasures (1986). 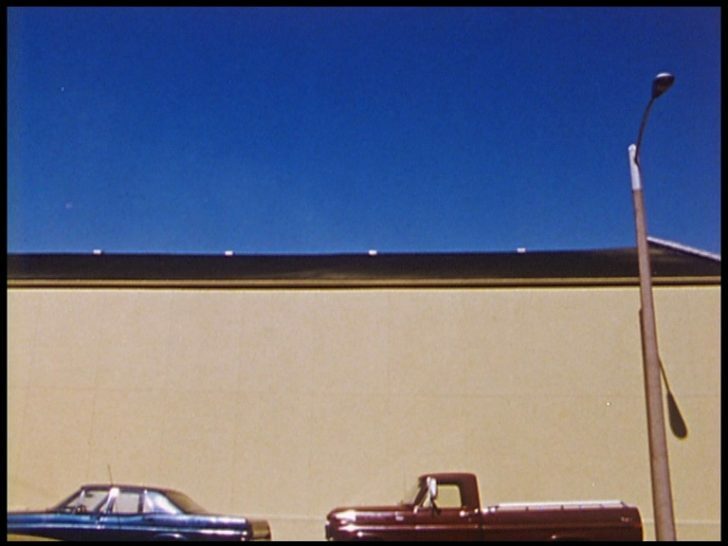 These plastic/artificial parts complete the film like the painting as a “scale model of the world” (as referred to by Bill Krohn). 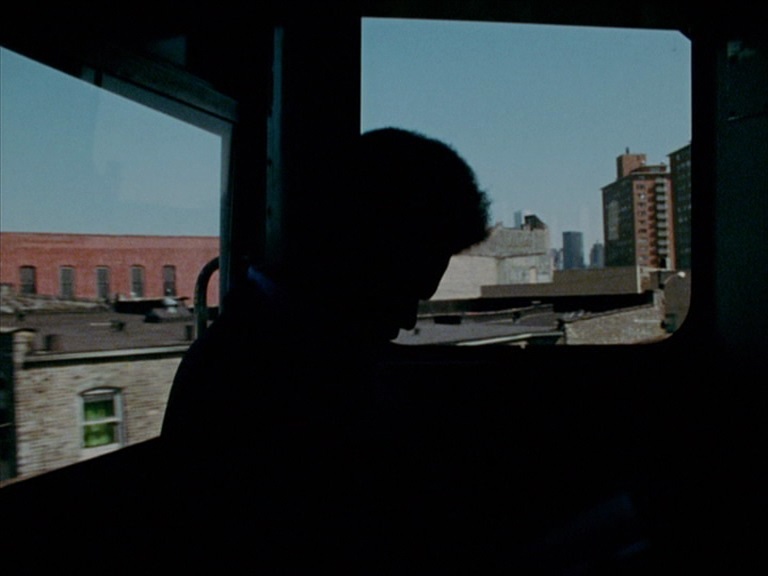 On a broad narrative scale, if one is concerned about navigating a nation’s significant historical period and the metamorphosis in a personal life, the film instinctively reminds us of David Perlov’s Yoman (1983). More importantly, in the history of Cinema, a selection of notable filmmakers like William S. Hart, Charlie Chaplin, Jerry Lewis, Pierre Etaix, João César Monteiro and definitely Boris Lehman have often thrust themselves at the center of their cinematic world only to reorient us to be able to view the world uniquely. Kidlat Tahimik most definitely belongs to such a ‚tradition‘, if one can call it that.